Also for these reasons recently the conversation is about the STEAM approach, where the ‘A’ of Art makes the difference; this method represents an upgrade of the previous STEM, integrating the practical and creative aspect of Art with the logical principles of Science, Engineering Technology and Mathematics. The art therefore makes children “better people”, and there are many initiatives, places and games developed from this theory and to bring children closer to this theme. In this article, for example, we told you about a nursery designed to educate to beauty; in these last few days in Italy there is also a lot of talk about Artonauti, the first art stickers album developed by WizArt S.r.l. and financed by Fondazione Cariplo, which encourages children to collect and complete frescoes, canvases and sculptures through an analogical and still much-loved medium, the stickers. The “new” technologies such as Augmented Reality and Virtual Reality have opened up so many learning opportunities within the reach of children. Among educational applications developed for museums or software that give life to Renaissance paintings, the market begins to be crowded with proposals. In this context it seems interesting to tell you about an analog STEAM toy project with a digital core for approaching children to art: ‘Museum in a box’. 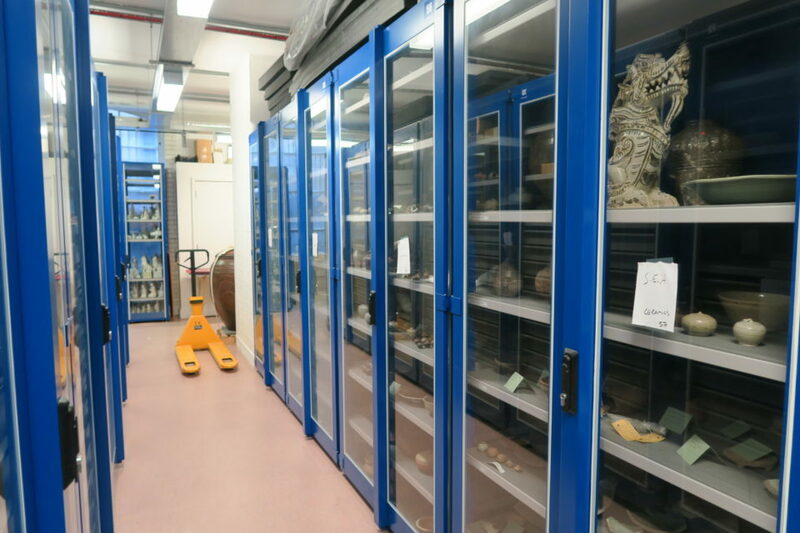 This English start-up has invented the way to bring museum collections and specialist knowledge into the hands of children anywhere in the world. But let’s take a step back. The project starts from a rather surprising consideration: on average only 5% of the objects owned by the museums are exposed to the public. The British Museum, for example, has only 1% of its entire collection on display. Furthermore, not all students have the opportunity to visit these places and, when they can, they are often and willingly found in front of anonymous installations and descriptive materials not designed for them. Museum in a Box is an acrylic or plywood box that offers art for children; designed to be sent around the world, occupying the least possible space, it contains a series of objects: 10 3D printed pieces, interactive postcards, documents and maps. The design principle is that of the ‘less screen, more touch’, in fact, despite the technology involved, this box does not have a screen to interact with the user. 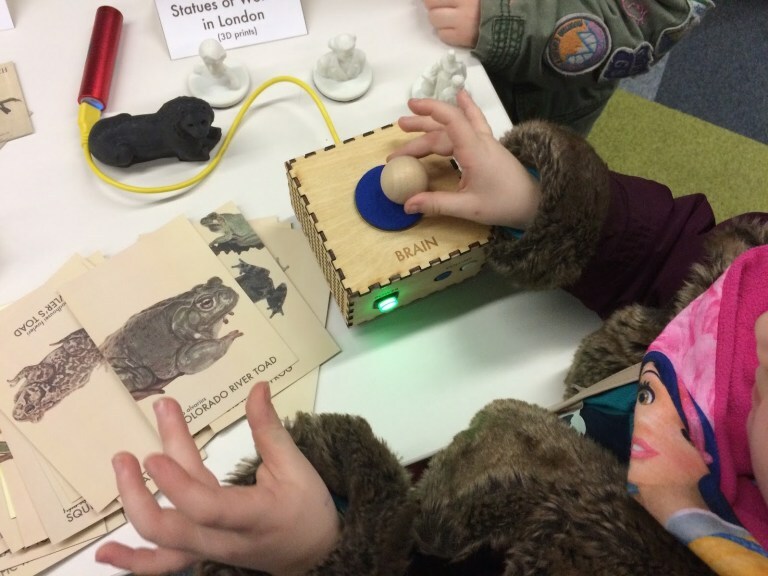 An analog STEAM toy project with a digital core is made by a box that contains an electronic brain developed with Raspberry Pi able to translate the information placed on the objects, through NFC tags, into a vocal tale. The interaction aspect between the box and the child is very important because it involves him/her directly in a sensory activity, including touch in the discovery process through the manipulation of physical objects. Furthermore, the auditive feedback of the storytelling linked to the object is particularly favorable for understanding and memorizing the concepts learned, also because it is designed, written and narrated specifically for children. For now, the start-up that invented an analog STEAM toy project with a digital core has worked with several museums and many English schools, but has partnered with institutions in the museum sector around the world. 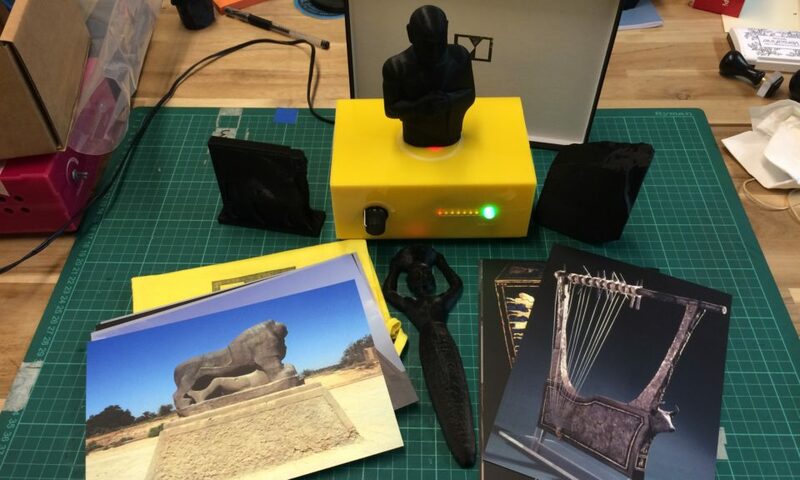 There are many exhibiting companies that are investing in 3D scanning and carrying out mass digitization of the archives; the project therefore fits perfectly into this context, exploiting a substantial part of work at cost 0 (for start-up) and providing museums and schools with a unique educational and promotional service.